Door to door - saving lives in Ethiopia. 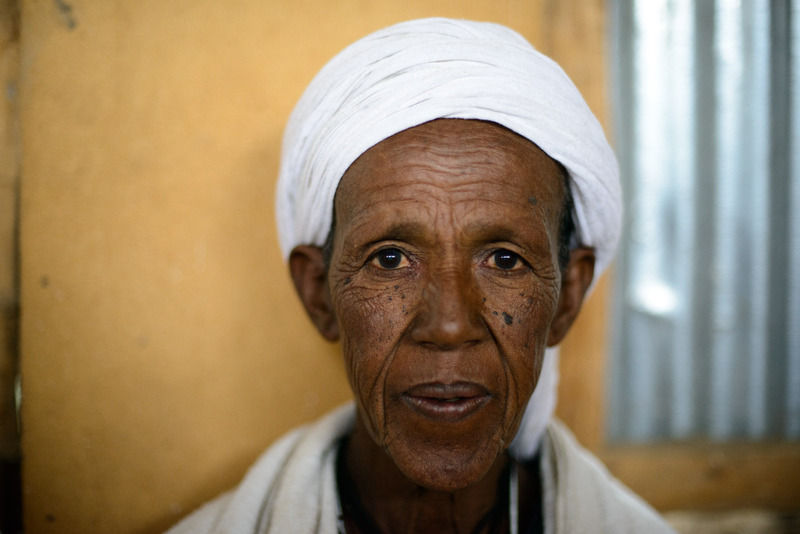 Ziginie, 45 years old, is a traditional birth attendant in Chilla village in northern Ethiopia. Very few women give birth at health facilities in rural Ethiopia. Information meetings, like the pregnant mothers’ forum that Ziginie attends, are important to teach women and communities to recognise danger signs and to encourage visits and deliveries at health facilities. Supporting traditional birth attendants like Ziginie is also crucial to stop women from dying from pregnancy and birth related complications. Save the Children Australia’s maternal health programme is funded by the Australian Government. 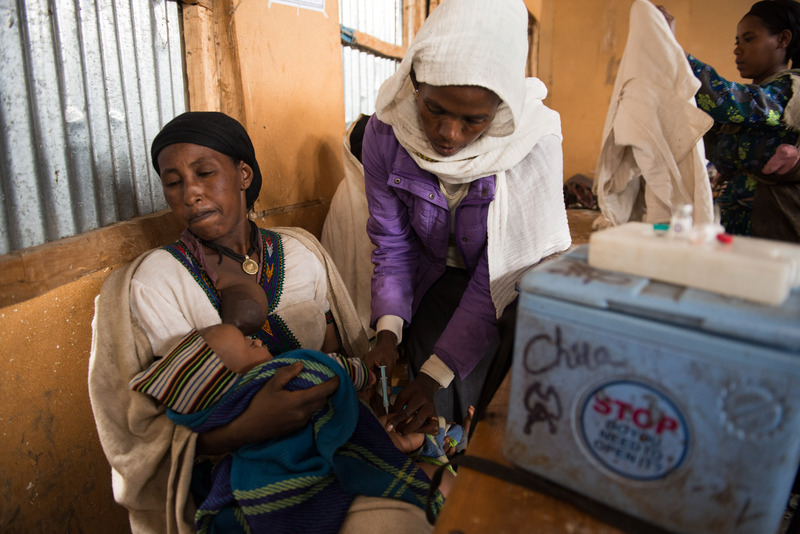 A mother looks away as her child receives an injection from a health worker in Chilla village in northern Ethiopia. The pregnant mothers’ forum is an opportunity to not only discuss safe practices relating to pregnancy and birth, but also a chance to administer vaccinations. Through the Australian Government’s overseas aid programme, vulnerable children in Ethiopia are given the chance of a better life. 24-year-old Membre (left) and 25-year-old Wuderdugn are community health workers. 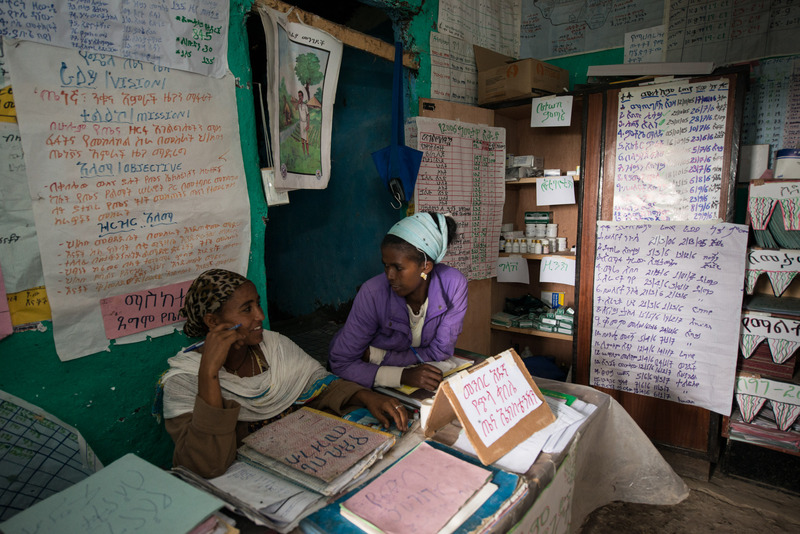 They work in the Chilla Health Post in northern Ethiopia. Membre and her colleague’s work includes health checks for pregnant and breastfeeding women and vaccinations. They also help deliver babies at the health post. One in every 17 Ethiopian children dies before their first birthday and one in every 11 dies before their fifth birthday. Currently 14 percent of births are attended by a skilled birth assistant. “Since I received training from Save the Children, there have been no deaths of mothers or children at this health post,” says Membre. 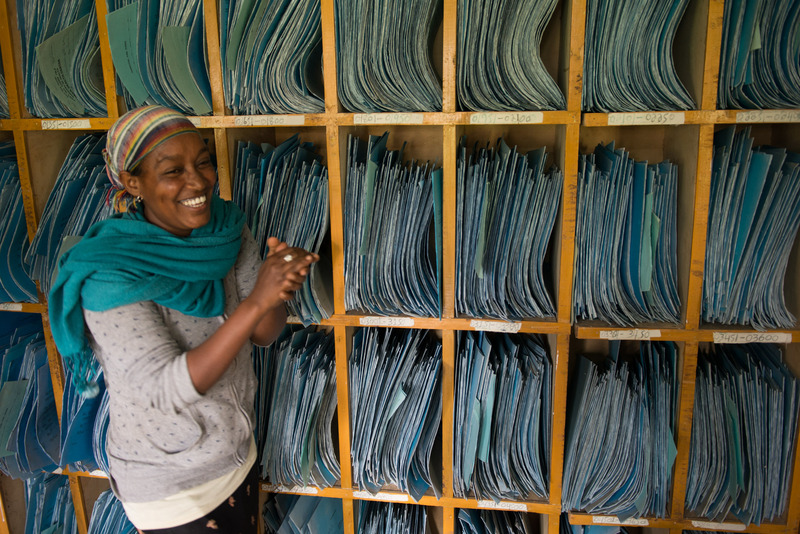 Membre is 24 years old and she works at Chilla Health Post, high in the Ethiopian mountains. Membre’s community has little access to education about giving birth and looking after newborns. There’s no electricity at the health post that consists of a delivery room, consulting room and a storeroom. 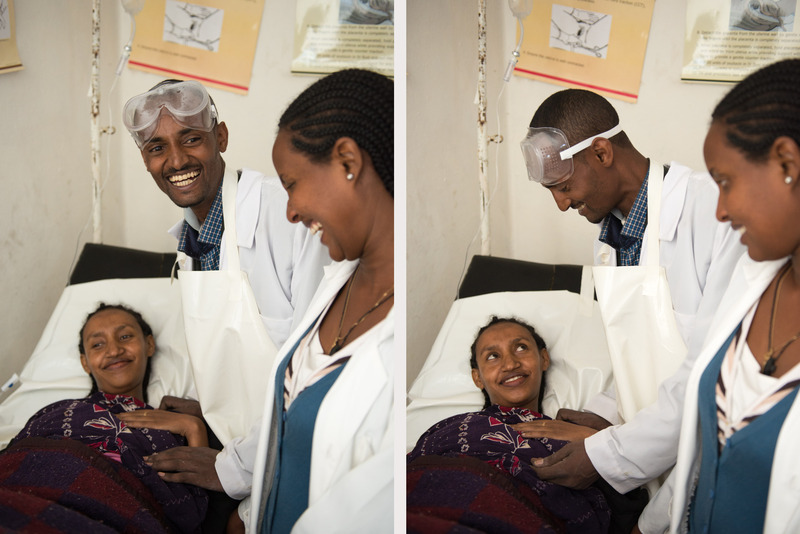 In Ethiopia, many people lack access to quality healthcare and lack awareness on the risks of pregnancy, childbirth. This has resulted in very high mortality rates for both children and mothers. Thanks to Save the Children and the Australian Aid Program, health workers like Membre are receiving training on quality of care. Since the training began in this district, there are fewer women and children dying. “We want to make sure no one dies at this health post,” Membre says. 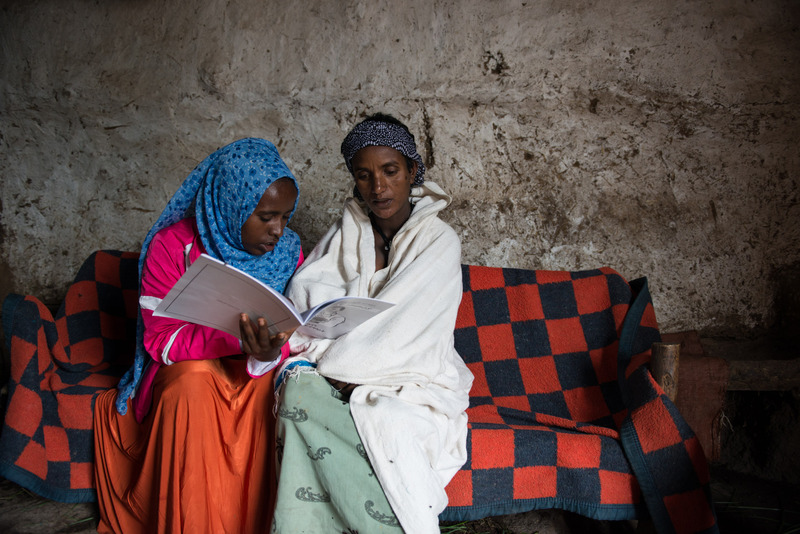 Zinet (left) sits in Keshen’s house in a mountain village in northern Ethiopia. Zinet is 19 years old and volunteers with Save the Children as a health worker. Every week she walks from house to house in her village and visits up to eight pregnant and breastfeeding mothers in their homes. Zinet has received training and materials through the project. 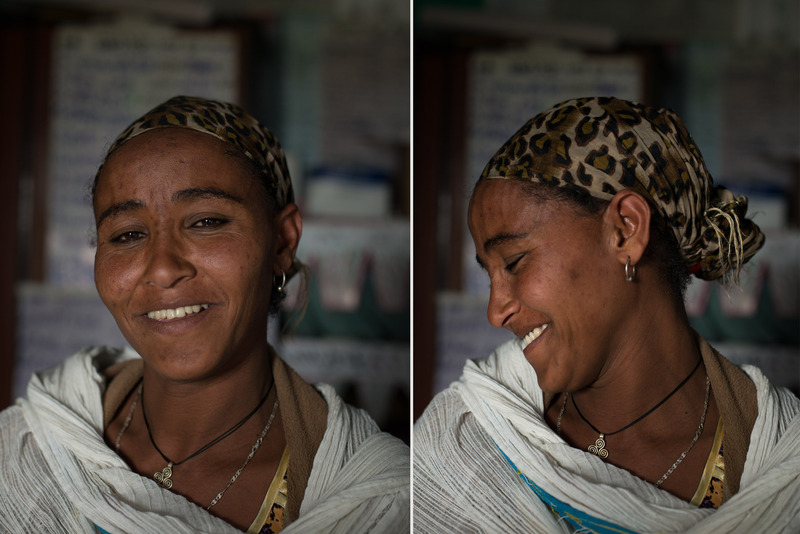 Keshen, a 35-year-old mother of five, in her house in a mountain village in northern Ethiopia. She is one of the mothers in the village that sees Zinet, the volunteer community health worker. Sofit is in labour and her family waits expectantly outside the maternity ward at the health centre in Woken. 25-year-old Sofit is giving birth with help from a Save the Children-trained midwife and donated medical supplies. 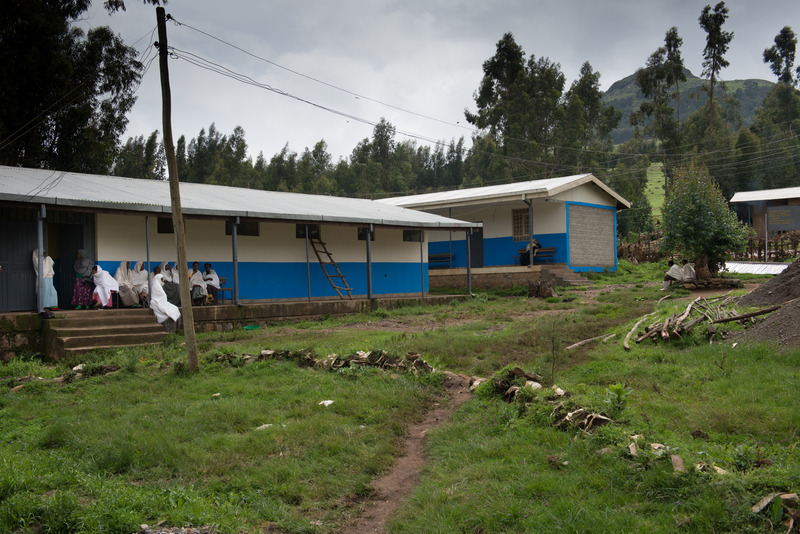 Thanks to support from Save the Children, Woken Health Centre has been repainted, the leaky roof fixed, the flooding halted, and several of the staff have received valuable training in emergency childbirth and newborn care. This is helping to save lives. Sofit just gave birth to a baby girl. She is talking to Melkie, the midwife, and Mesenet, the assisting nurse. It is Sofit’s first child and everything has gone well. Thanks to support from a Save the Children-trained midwife, she gives birth safely and wasn’t referred to the hospital. In this area, many women die between the health centre and hospital when an inexperienced midwife refers complicated or prolonged deliveries. “Before, not many women came to the health centre. But now, since the support from Save the Children, more women are coming. I think they are coming because we are providing friendly care and women who come here tell their friends,” he says. 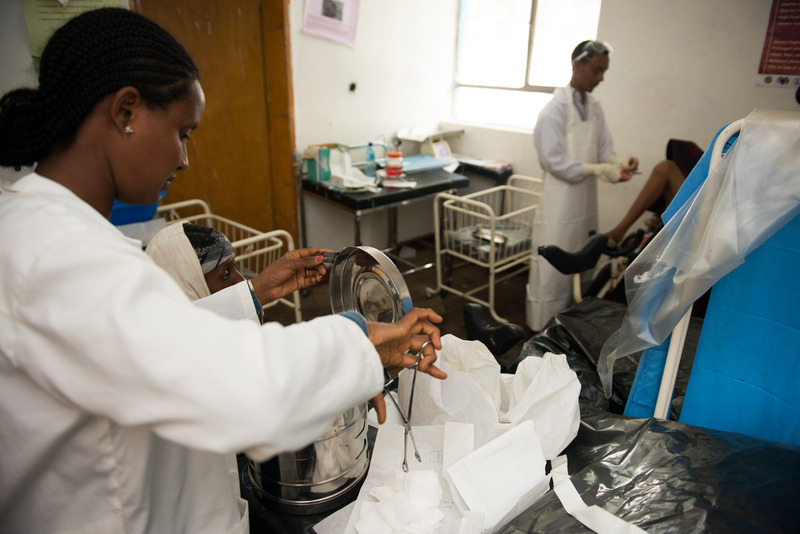 Mesenet, in the foreground, will assist Melak, the assistant midwife, with Sofit’s post partum stiches. Save the Children supports the Woken Health Centre through training of midwives and other health staff, renovation medical supplies. More women than before are now coming to the centre to give birth. For newborn babies, immediate care can save not only their life, but it can save their mother’s life too. “Previously, I used to refer mothers if there was a complication. I used to be afraid. That meant they would sometimes die on their way to the hospital, which is 75 kilometres away, now I can manage them confidently, such as a breech delivery. I am confident and I can do it myself” says Melkie. The health centre’s registrar, Yemisrach, lists all patients who come to the health centre. She also registers all births. Yemisrach has worked at Woken Health Centre for four years and she’s very happy with Save the Children’s support. “I’m glad more mothers are coming here to give birth, because mothers were dying at home, not getting helped. I think the training of nurses and midwives has encouraged them to come, as well as the renovation,” she says.